These products were sent to me for review but all opinions are my own. 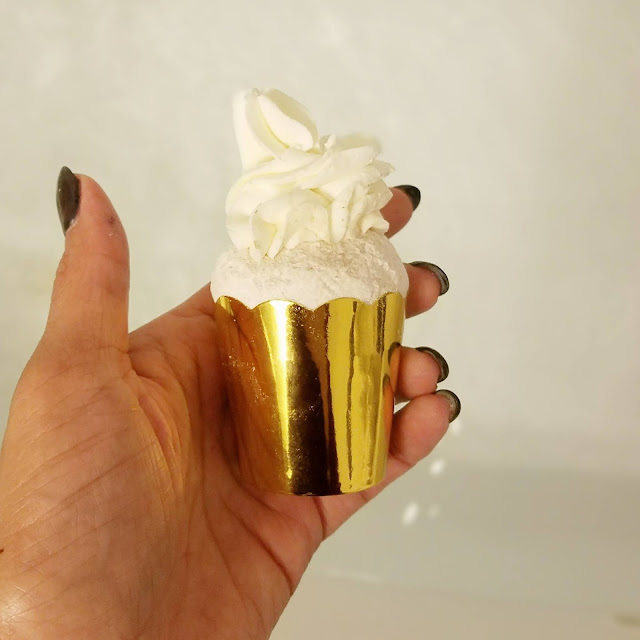 I just wanted to share these ADORABLE bath bombs with you!!! 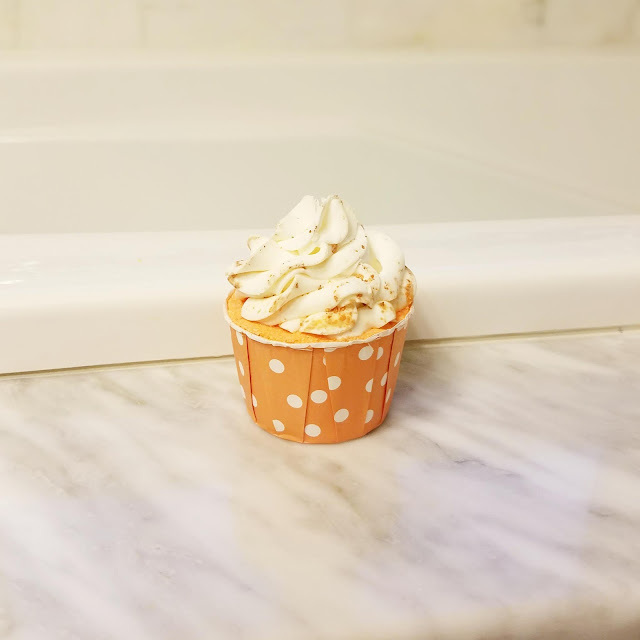 Victoria from TheBombox.com sent me a few of her homemade bath bombs to test out and they are SO FUN! I tested them all on my kids and they absolutely LOVED them! We used them over a 2 week span. My kids were right next to me when I took all the photos and also with me when I made videos for Snapchat or Instagram. They watched the magic happen and there were a lot of "oohs" and "aahhs". 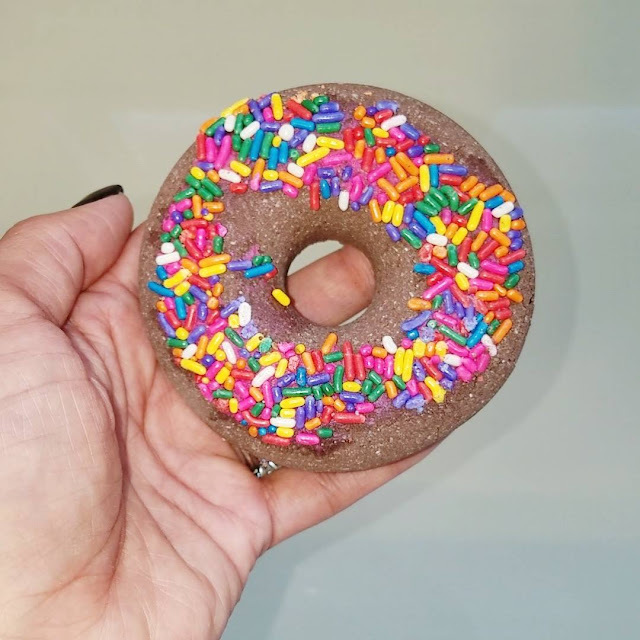 I wasn't worried about using them on my kids because they are made with good, clean ingredients like Organic Coconut Oil, Almond Oil and Shea butter and scented with essential oils. First we tested the Chocolate Bubble Bath Bomb. I'll be honest -the day we tested this was a day that I just really wanted to watch an episode of Game of Thrones so I made my #1 take an extra long bath so I could have some quiet time. The chocolate was all I needed to lure him into that bath*! This bomb smells so yummy! My son LOVED it! *One note on this one - it left chocolate residue in my tub and I did have to put some effort into cleaning it up. No big deal - it was easy to clean up! Only, it required more than just rinsing it off - especially in the jets of my tub. My kids LOVED the Kiss Me Down Lake Shore Drive Bubble Cupcake! It left the water tinted green, which the kids thought was cool and it smells delicious! I learned with this one - you have to take the wrapper off first! The Mini Vanilla Spice Bubble Cupcake was their favorite. Great scent and when I put it in the tub, it started to spin, which was fun. They were so excited when it started to spin! The last one we tried, the Jasmin Rose Bubble Bath Bomb, was my personal favorite. I LOVED the flora scent of this one. I was feeling kind of bummed I didn't use this one for myself! It smelled so nice! As you can see, it made a TON of bubbles and they lasted for a long time! My kids were in heaven! 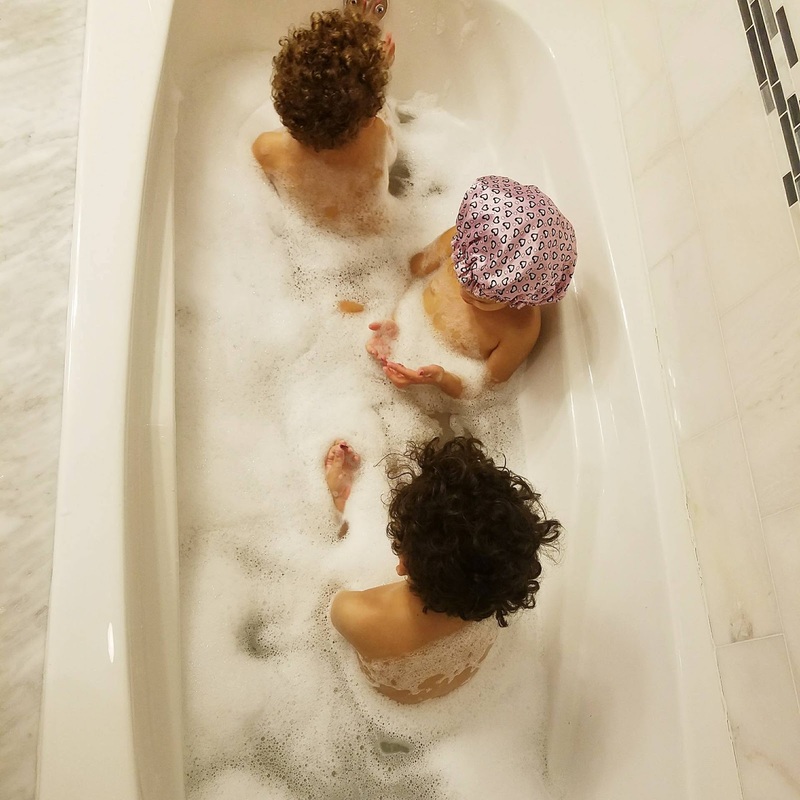 And yes, my daughter wears a shower cap sometimes haha! So now, here's the fun part. Victoria wants to gift 3 BATH BOMBS to one of my readers!!! 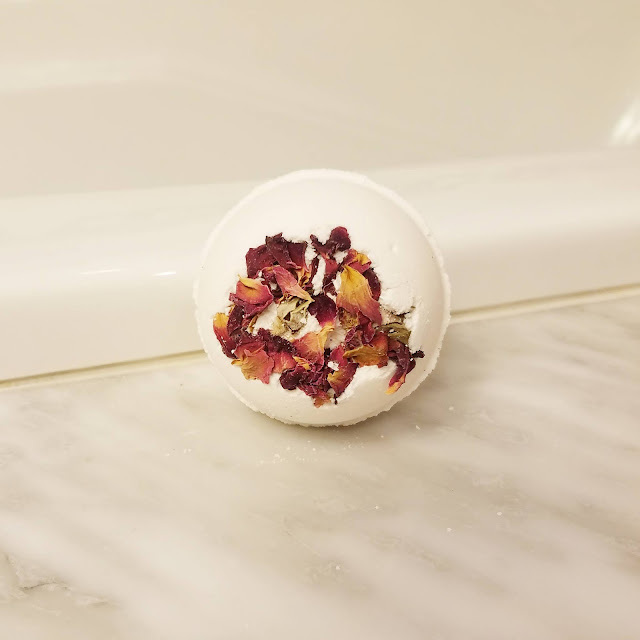 3 - Leave a comment on this post about why you want to try these bath bombs. Wait, there's MORE!!! If you don't win the giveaway, Victoria is offering you all a 20% off discount code to use on her site. 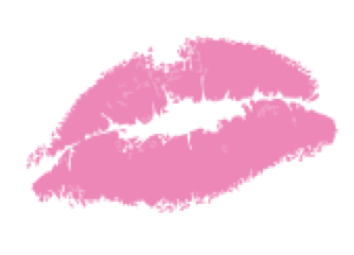 Just enter GLAMMOMBOX at checkout for your discount! In the meantime, check out Victoria's site - www.thebombox.com - and check out her Instagram for pretty photos and videos of her bombs in action! 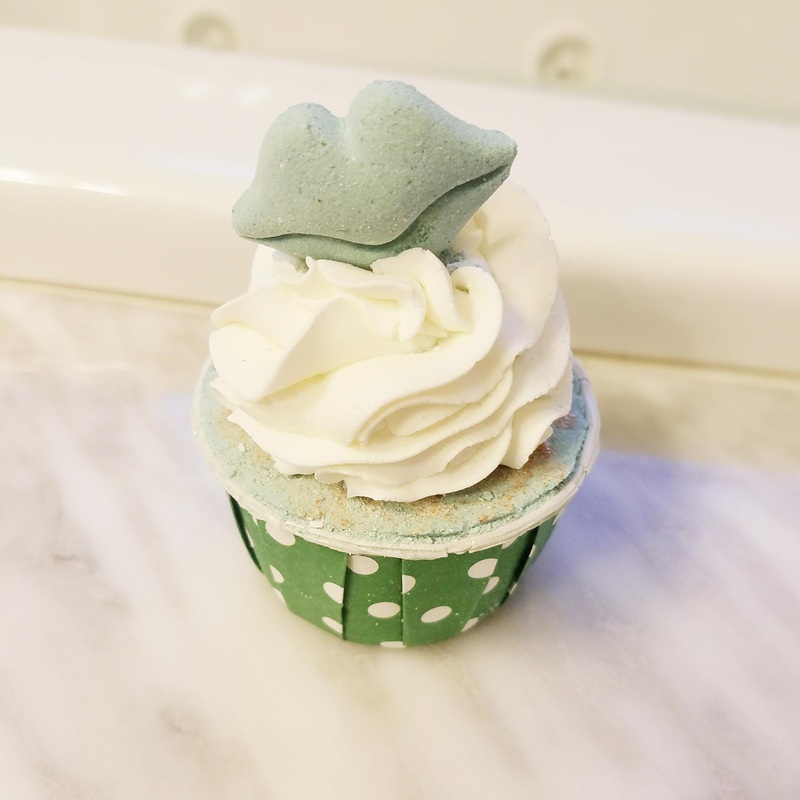 I'd love to experience these adorable products because taking a bath help me relax. How amazing that experience be with these wonderful bath bombers. I'm especially curious about the jasmine rose. Hope I win. Thanks Glammom! I followed both IG accounts. My son LOVES sweets (donuts in particular- just did a donut themed 2nd bday for him!) 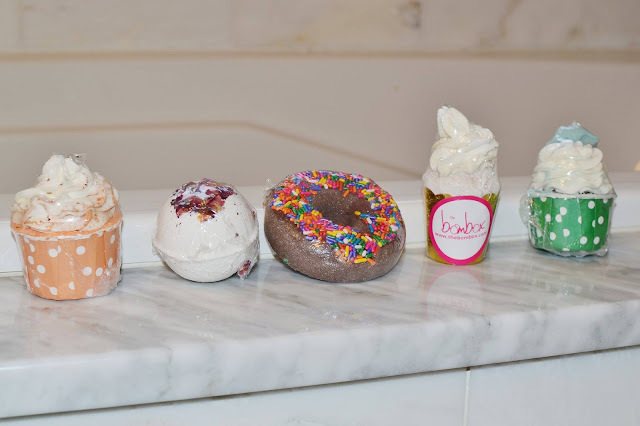 and would go crazy for these bath bombs with bubbles galore! Thanks for the chance! Congrats Emily!!! You won this prize!!! Please email your mailing address to TheGlamMomBlog@gmail.com. Thanks for reading!